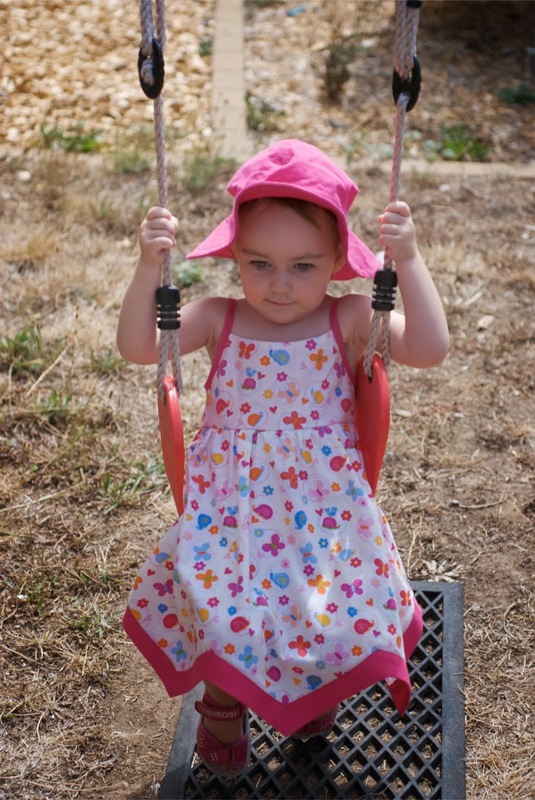 I made this dress for Olivia from a New Look pattern (6136). I'd never done a zig-zag hemline before and managed the sew the lower band on upside down, so had to re-do it. A very suitable outfit for the very warm weather we've been experiencing this summer. Very pretty fabric and made extra special by the hemline, even if you did have to do it twice!